There has pretty much always been fear on this planet, the offshoots of which are greed, anger, hatred and It occurs to me that many people on this planet are getting angrier with each other. Some of the fear we feel come from misunderstandings with other people. I took a class in college that addressed some of those misunderstandings, and how we can reduce them, which in turn should help us get a long a little more peacefully. 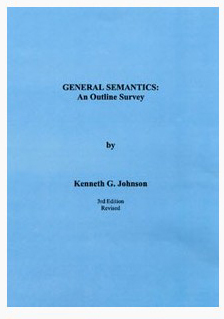 What follows are some notes I took from the book “General Semantics: An Outline Survey” by Kenneth G. Johnson, who taught the class “General Semantics” at the University of Wisconsin-Milwaukee. I took the class many, many moons ago with just two other students. I found it to be one of the most enlightening classes I ever took. It helps breaks down the barriers that prevent us from understanding one another. In sharing some of my notes from Johnson’s book, which was published in 1972, I hope that some of you are also enlightened. It sure makes it easier to get along with people when you keep some of these things in mind! I’ve broken down the notes into sections. Man differs from other animals in that he can create and he can communicate across time with symbols. Language is often ranked as man’s most remarkable creation. His ability to symbolize opens him to a variety of ways to create. With language, man can “freeze” experiences or products of his creativity and then “un-freeze” them later. Syntactics: The study of the relationship between words and other words, symbols and other symbols. Examples: logic, mathematics, grammar, dictionary definitions. Semantics: The study of relationships between words and what they stand for. Examples: descriptions, operational definitions. Pragmatics: The study of relationships of words and the users of words. Examples: evaluation, propaganda, usage, idiom. General Semantics focuses mainly on the relationship between language and human behavior. General Semantics is not the study of words or the study of meaning. It is rather concerned with the assumptions made in underlying symbol systems and the personal and cultural effects of their use. Communication may be regarded as a game in which the speaker and listener (writer and reader) battle against the forces of confusion. We must expect to be misunderstood. We must expect to misunderstand. We can try to minimize misunderstanding; we can’t eliminate it. Experience cannot be transmitted as experience; it must first be translated into something else. It is this something else that is transmitted. When it is received it is translated back into something that resembles experience. Words are not the objects they represent. You can talk of two worlds: The world that we see, hear, touch or otherwise experience, which is the existential world; the world or words, the verbal world, contains verbal crystallizations of our experience and models built of the words we read and hear. The verbal world may be considered a map of the existential world. That is … words are a map of our senses. They represent objects but are not those objects themselves just as a dotted line is not actually a highway under construction but represents one on a map. A good map has a structure similar to the territory; it is a good predictor. It is difficult to make verbal maps that do not, to some degree, distort the territory. It is not so much the distortions in a verbal map that cause trouble as it is us being unaware of those distortions. Dealing successfully with the world about us depends in a large part upon having adequate maps of the territories we encounter. Data about the world come to us through our sense. Our senses are amazingly sensitive, yet severely limited. Our sense are also adversely affected or fooled by such things as color blindness, blind spots, optical illusions, the effects of fatigue, changes in sensitivity as organs adapt to conditions. The eye can handle something like 5 million bits per second, but the brain can only comprehend about 500 bits per second. Therefore, the nervous system must select, discriminate. Individuals vary considerably in the way they sense things. There is a danger in assuming what someone else hears, sees, touches, etc. We more readily perceive the objects and relationships for which we have names. We see things only as they are interpreted by our nervous system. What we look at is outside our nervous systems. What we see is really our nervous system’s response to the outside stimuli. We should not talk about the world “out there.” Instead, we should talk about the world as it appears to you or the world as it appears to me. We see with our experience as well as with our eyes. Things do not have meaning; our nervous systems manufacture meanings from the raw material fed to our sense organs. The stimuli received from nature and not pictures and sounds of reality, but are the evidence from which we build our models and impressions of reality. The universe, as we know it, is a joint product of the observer and the observed. When we observe, we leave out things; we can’t possibly observe everything. When we take in our surroundings, we select from them in accordance with our past experience and our purposes. When we react to events or words, we think, feel, move and undergo biochemical changes. Man is an organism that works as a whole. The structure of our language influences not only the way we communicate with others, but also the way we communicate with ourselves. The language we use not only puts words in our mouths, it puts ideas in our heads. Each language is a vast pattern system that is different from all others. Each language chops up and reassembles experiences, relationships and the like in a unique way. Language patterns, combined with other cultural patterns, direct perceptions and thinking into certain habitual channels. Many of the structural characteristics of language that lead us astray are obvious when we stop to think about them. Too often, we do not think about them. We make many errors though language, such as assuming similar things to be identical, the essence of things never changes, parts may be considered without relation to the whole, etc. There is a tremendous difference between thinking in verbal terms and contemplating inwardly silent, on nonverbal levels, and then searching for the proper structure of language to fit the thoughts. We must study the world first, then find language that fits it instead of habitually ascribing to the world the primitive structure of our language. The word “is” in these sentences projects our reactions on the world out there. This confusion of evaluations with descriptions can be seen in extreme form in mental hospitals. Many of the people there confuse what is going on inside their nervous systems with what is going on outside. They “see” things that other people do not see; they “hear” voices that other people do not hear. Some hallucinations can be produced by simply stimulating a certain part of the brain. The structure of our language allows us to say that a map “equals” the territory, when it may not. Some people react to words as if they were things instead of symbols that stand for or point to things. For example: in an opinion poll, people rated two mythical companies. The American Improvement Company proved very popular, while the International Molybdenum Cartel was rated very low. The respondents reacted to words since neither company was real. Scientists tell us that no two things are identical. We are capable of seeing similarities among different things, and we are able to see differences among different things. We usually see similarities by ignoring the differences. We tend to put things into a group or class even though they are not identical. We do this so often that most often we are not even aware we are doing it. We start to recognize a set of things as alike when they are not identical. Habit makes us think the likeness is obvious. We speak in categories and tend to perceive and think that way. These categories are not out there in nature; they are conceived in our own heads. Any two things can be grouped together verbally (i.e., you and your watch) and yet, that does not make them identical. Anything may be placed in more than one category (I am a father AND a writer). Things are not the same simply because they have the same label (I am not the same thing as Loni Anderson, although we are both Americans). Things do not change just because we change their labels. Each classification or label tells us how things are similar to certain other objects. Each object tells us how it is different from other objects. We have a world of uniqueness, but a language that maps this world into categories. Quite the problem, I’d say! A device known as “indexing” can be used to remind us that no two things are identical. Child1 is not child 2; policeman1 is not policeman2; and so on. The words “child” and “policeman” suggest similarities, but the numbers point out uniqueness. When we talk or write, we tend to do so in a manner that suggests we know “all” about a subject. Just as a map cannot say “all” about a territory, we cannot say or know “all” about any particular subject. Our sense organs select from our environment, so we select what we pay attention to. The words we select to describe an object or event tell about only some of the characteristics. “Etc.” can be used to remind us that more could be said. Many people are unhappy because they don’t know “all” about this or that and wish that they did. One of the most tantalizing truths we know is that there is so much we may never know. Language tends to be static (not changing); the world dynamic (changing). Much of our trouble in using words comes about because we forget that the world changes much faster than words do. We are often using verbal maps that are somewhat out of date and that no longer accurately describe the territory. The same word may stand for the same person or thing day after day, even though that person or thing may change, grow and transform. We do not name the process, the originality, the development, the flux. Man’s world has changed more in the past 150 years than in all the time before. The survival of a civilization or an individual depends upon its ability to adapt to change. “One cannot step in the same river twice.” The water that flows past will never again flow past. What we know of other people is only our memory of the moments during which we knew them. They have changed since then. In a sense, every meeting is a meeting of strangers. Facts as we see them are quick glimpses of an ever-changing world. It’s as if we view separate frames of a moving picture without realizing that what we are viewing is, in fact, a moving picture. If we accept other people as fixed, already classified and shaped by their past, we confirm this limited hypothesis. But if we accept him as a process of becoming, then we are confirming or making real his potentialities. Dating is a reminder that things are constantly changing. For example, JohnYear1999 is not the same as JohnYear2015. Or Boss(9 a.m.) is not the same as Boss (10 p.m.). The structure of our language leads us to confuse facts with inferences and/or assumptions. We have no grammatical constructions to distinguish what we have experienced and what we have assumed. It is easy to say and think we know, when sometimes we are only guessing. The same words may describe or infer, depending on the context. And we learn to perceive and think with this confusion. Some confusion might be avoided if we reserve the word “fact” for statements of observation. A statement of fact is made after observation or experience and is confined to what one observes or experiences. Only a limited number of statements of fact can be made about something. They represent a high degree of probability (close to certainty). We tend to get agreement when it is possible to make factual statements about a situation. Statements of inference can be made anytime — before, during or after observation. They go beyond observation or experience. An unlimited number of them can be made. They represent some degree of probability. We can expect disagreement if only inferential statements can be made in a situation. We have no choice but to make assumptions and inferences. It is impossible to observe, check and test everything. But it is important to know when we are making assumptions and inferences. We tend to have more confidence in our inferences when they are based on multiple observations and when several of them all point to the same conclusion. For example, the atomic theory is built out of converging inferences of chemists and physicists. Most of the things we deal with are more accurately mapped by statistical distribution than by either/or terms. Are you good or bad? Rich or poor? Your answers to these questions depend on your frame of reference. Scientists, especially, recognize degrees of differences and degrees of probability. Either/or evaluations occur frequently in the thinking of children, in political speeches, in arguments, etc. We often create problems for ourselves by thinking in either/or terms and seeking vaguely defined goals. *They strive for unobtainable or vaguely defined goals. For instance, they may want to be healthy or wealthy or normal or successful or loved, etc. These are good goals when they are meaningful. However, People in Quandaries tend not to define their goals in specific terms. So, they can never know when they’ve achieved them. *They consider these goals in either/or terms. They are either successful or unsuccessful, happy or sad, rich or poor, etc. They seem to be unaware of the possibilities in between. *Because the alternative is so unacceptable, they feel they must achieve their goal. *They are likely to become frustrated because anything short of complete success (whatever that means!) is considered failure. Anything short of complete “goodness” is considered bad, for example. *Continued frustration is likely to lead to demoralization … a “what’s the use” attitude. With language, we dissect the universe. We sometimes mistake our collection of parts for the whole. Often, we mistakenly look for the cause of something, unconsciously assuming that there is just one cause when there may be several. Cults generally consist of people who have found the answer. They believe everything will be solved by this one answer, such as nudism, voting one party or another, positive thinking, eating grapefruit, etc. Such words as “and,” “plus,” and “also” my be deceiving because they suggest simple addition. Often, the addition of one more chemical element to a chemical reaction or one more person to a group will change the situation far more than the word “addition” suggests. The addition of two pieces of Uranium, for example, may set off an atomic chain reaction. It may also have social, political and military consequences. Our language is not well suited to dealing with interactions. Feedback is the taking a look at the results of past performance. Negative feedback tends to be corrective. Thermostats control the performance of heaters and air conditioners by means of negative feedback. Audience feedback in the form of applause, yawns, frowns or questions enables a speaker to modify his performance to suit the audience. We can make use of internal feedback when we evaluate the evaluations we make, think about how we think, doubt our doubts, question our questions, etc. Positive feedback, instead of correcting the performance of a system, tends to move it further from its original position. A “vicious spiral” is an example of positive feedback: He drinks because his wife nags; she nags because he drinks. Internal positive feedback is at work when we worry about worry, are afraid of being afraid, are ignorant of our ignorance, etc. When the result of we predict becomes the cause or one of the causes of the result, we have a self-fulfilling prophecy. If men define situations as real, the consequences of them are real. Therefore, the results of opinion polls may influence as well as reflect public opinion. “I can’t do math” may be a statement of fact about this particular math right now. But it may also be read as a prediction — a prediction that I will fail. If I feel that I am going to fail, why should I try? If I don’t try, I will fail. Therefore, my prediction comes true and I am convinced I was right in the first place. A category or label may be self-fulfilling. Consider such labels as “I am not a good artist,” “I am stubborn,” “Mary is a nervous child” (said in her presence). Some conditions or diseases seem to have been caused by being diagnosed. Some people are crippled by being told they have a bad heart. They live and act as though they had such a condition and see in themselves many of the conditions of the disease. There is considerable evidence that what we call stuttering is caused by over-anxious parents labeling normal non-fluency stuttering. The labeled child becomes self-conscious about his or her speech and, as a result, speaks even less fluently. The parents get even more concerned, and the vicious spiral goes into action. With words, we describe, label, classify, evaluate, show relationships, etc. When we use words, we abstract, or select, or leave out, things. The process level of abstraction is the territory known to scientists. It consists of atoms, molecules, particles, chemical activities, energy, etc. It is a universe of constant change. The object level of abstraction is the territory known to our senses. We only see a part of what we look at. We pay attention to only a part of what we see. Happenings, events, activities take place at the process level. We detect them at the object level. These levels do not involve words. The essential and enduring facts of life are the happenings, events and activities. At the most basic verbal level, we might label an object “dog.” At the next level we might describe the dog in specific terms. We label something “dog,” but that leaves out many details that make this particular dog different from other dogs. The process of noting similarities and differences can be carried on almost indefinitely. We tend to confuse levels of abstraction because we use “to be” verbs that suggest “equal to” or “the same as.” Example: “Men are animals.” Are men really the same as animals? Or would it be more accurate to say “are classified as”? Knowing that we abstract, we become aware of our limitations. We see in part and we know it part. But at least we know that we only see in part and know in part. We are aware of the limitations of our language and our knowledge. Often, we are confused by words because we have no direct (or even indirect) experience with the things for which they stand. Many arguments and conflicts can be avoided by being aware that we abstract and that different people abstract in different ways. 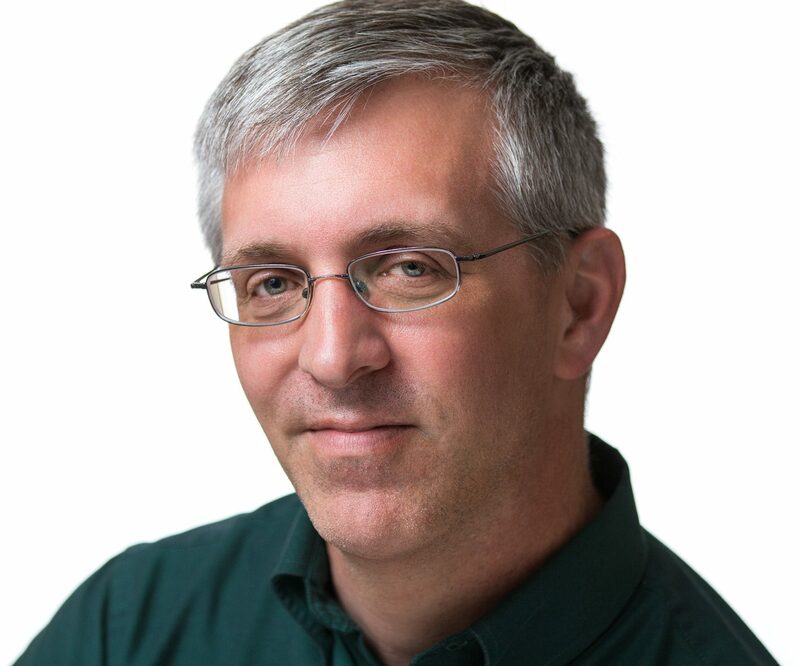 If you give your listener or reader only specific information, he may ask “So what? What does it all add up to?” He is asking for your interpretations and generalizations. If you give your listener or reader only generalizations, he will want you to give him specific examples. He wants data, causes, descriptions, etc. *an 8-year-old boy who took two tomatoes from a neighbor’s garden without asking permission. The degree to which communication occurs depends on the degree to which the worlds of the speaker (writer) represent similar experiences to the listener (reader). Strictly speaking, words don’t “mean,” people “mean.” Don’t ask what a word means, ask what the person means when they say the word. Communication involves translation, but we’re not really translating word for word, but experience for experience. Words have no one true meaning. For the 500 most used words in the English language, the Oxford Dictionary lists 14,070 meanings. Words mean different things to different people; they mean different things at different times; they mean different things in different contexts. Take the word “beat” for example: He beat (hit) the dog with a stick. He beat (defeated) Joe at chess. This reporter has the mayor on his beat (area to cover). Beat’s me (don’t know)! Some words can be used as verbs as well as nouns, giving them different meaning depending on how they are used. For example: I love love. Perhaps we should consider words variables (such as x in mathematics); their range of meanings is limited by the context in which they appear. Definitions tell you the relationships between words; descriptions tell you the relationships between words and things. Descriptions or examples are usually more useful in problem solving than definitions. A dictionary should be considered a book of history, not a book of law. Some words do not inform. Some words are sounds that convey emotional feeling. Growl words: “Jones is a dirty, lousy S.O.B.” Purr words: “It is a beautiful day.” In these instances, the speaker is projecting himself into the words. He is telling you he doesn’t like Jones without really giving you any specific information about Jones. His “beautiful” day could mean any number of things. All you know is that he feels positive about some aspect to this day. Ritual language: hymn words, college yells, etc. These are often uninformative, but have emotional reasons for existing. They tend to form bonds of common reactions to verbal stimuli. People often make noise for noise’s sake. For example, lyrics of songs sometimes do not make sense. And expressions such as “How are you” or “What’s up” are not requests for information; they are simply the response society expects in certain situations. We are often satisfied with words that tell us nothing. “It’s just politics,” someone says. Does that really give us any information? The way a person uses language both reflects and influences his mental health. Words have the power to uplift or tear down a man. The emotionally maladjusted person has seen communication with himself break down. 1. Assume that everyone is having the same experience at the perceptual level as themselves — that there is only one “right” way to look at or feel about anything. 2. Assume that if they talk long enough, loud enough, “reasonably” enough, they will be able to influence others to their way of thinking. 3. Assume that the characteristic by which something is labeled, named or judged is in the object, that what they say about it is the “right” characteristic, the “real” name, the “real” meaning. 4. Make generalized conclusions from very few experiences in such a way that new experiences have to fit old conclusions or remain ignored. A person may be well-adjusted in some areas and not so well-adjusted in other areas. For example, they may be well-adjusted with respect to a certain person or group of people, but maladjusted by the standards of others. A part of the scientific method involves fashioning questions that can be answered by means of observations that can be made. The main tools of the clinical psychologist and psychiatrists are words. Men are rarely as serene as when they are able to speak freely and fully without fear of self-reproach. Carl Rogers’ method of client-centered therapy centers on “creative listening,” which is listening with a sincere effort to understand a person from his or her point of view. The language of science emphasizes definitions, objectivity and generalizations of high prediction value. 1. Ask questions in terms that suggest observations that can be made or experiments that can be performed. 3. Describe the results in specific terms or record measurements. 4. Arrange, order and classify the results. 5. Make tentative inferences, hypotheses, generalizations. 7. Collect more data by further observation or experimentation in order to check predictions. 8. Revise inferences, hypotheses, generalizations in light of new information. 9. Repeat the process again and again as necessary to get the desired precision. 10. The goal of all this activity is to be able to predict. The value of a theory lies in its prediction value. In scientific method, generalizations are treated as tentative, provisional, probable — rather than certain. The scientist, by his very nature, creates more problems. The measure of our intellectual maturity is our capacity to feel less satisfied with our answers to better problems. Scientific inquiry encourages doubt instead of suppressing it. Doubt creates the motivation for conducting a particular piece of research. The methods of science can be used in many everyday problem-solving situations. Note the order of the major steps: observe, describe, hypothesize, predict, observe again, etc. Science is a generalized way of solving problems and is an effective method of time-binding. The language of literature and poetry emphasizes expressions of feeling, subjective responses, uniqueness. In these types of writing, as well as in fiction, myth, legend, etc., we are not concerned with actual maps of real territories. When we say writing of this type is “true,” we do not mean scientifically or historically true. The plays of Shakespeare or the poems of Milton produce in us attitudes toward our fellow man, an understanding of ourselves or feelings of deep moral obligation that are valuable to humanity. Science enables us to cooperate; the arts establish a flow of symphony and understanding so that we want to cooperate. The novelist abstracts only the events relevant to his or her story and then organizes them into a meaningful experience. Man’s ability to create and his ability to communicate are related. Without a good self-image, you can’t communicate well; you will constantly talk about your own misery. The best way to create a good self-image is to create. And you can be more creative if you open yourself to experience. Instead of perceiving in predetermined categories, a creative person is aware of the moment at hand, and is open to many experiences that fall outside the usual categories. For example, many may say “this tree is green.” But a creative person might see the same tree and say “this tree looks lavender to me in this light.” The creative person is more open to his or her own experiences. There is less rigidity in the boundaries of concepts, beliefs, perceptions and hypotheses. It means a tolerance for ambiguity where ambiguity exists. It means the ability to receive much conflicting information without forcing closure on the situation. Man’s ability to survive depends on creativity. We have to continually develop new sources of power and food, new ways to combat disease or bring about understanding, etc. In our educational system and in our society, we place a great deal of emphasis on learning to conform — to think in terms of what we think the other person will think. Often, we are taught what to think, not how to think. An educational system in which a child is told he is not supposed to make a mistake is bound to have difficulty creating. He will look for safe little places where he is not likely to make mistakes. A mouse that is put into a maze that runs it correctly the first time hasn’t learned to run the maze. It doesn’t learn to run the maze until it makes mistakes and learns from them. Form the habit of reacting “yes” to a new idea. First, think of all the reasons it is good; there will be plenty of people who will tell you it won’t work. When we look for differences instead of differences instead of similarities, it is practically impossible to get new ideas. Seeking differences is one of the basic techniques of originality or creativeness. Knowledge1: What you know from experience. Strictly speaking, all of this knowledge is out of date. Much of it probably is still useful, but you can’t be certain of this. All of our knowledge has a probability attached to it. Much of this first-hand knowledge is either ignored as unimportant or dismissed as obvious. If you are certain, you do not need faith; if you are not certain, all you have is faith. Knowledge2: What you know about (from reading, listening, etc.). Much of your knowledge falls into this category. At best, this kind of knowledge is an abstraction of someone else’s abstraction of an event. Such knowledge sometimes comes to us in some fashion as this: a report about statements about generalizations from inferences about events, etc. Strictly speaking, this information is also out of date. Knowledge3: What you know you don’t know: You perhaps know that you do not know how to read Sanskrit or make an atomic bomb. To be conscious that you are ignorant is a great step toward knowledge. Knowledge6: What nobody knows now. What new knowledge will come out of a more powerful telescope or microscope or closer relationships with each other? Knowledge7: What you believe with such conviction that you feel you “know.” For example, “I know he will show up soon.” or “I know she is not be capable of such an act.” Knowing in this sense is personal, unique, not publicly demonstrable, therefore not subject to scientific analysis. Every man, whether religiously inclined or not, has his own ultimate presuppositions (which sometimes change over time). For him, they are true. Such presuppositions — whether they are called ideologies, philosophies, notions or hunches about life — exert creative pressure upon all of his conduct. It is important to be aware of the personal nature of this kind of “knowledge.” One can’t “prove” it in a scientific sense, nor can a person insist that others believe as they believe. Many arguments result because the word “know” has so many different meanings. Perhaps if we recognize that all evaluations, inferences, generalizations, etc., are actually “beliefs,” we would be more willing to use that term.